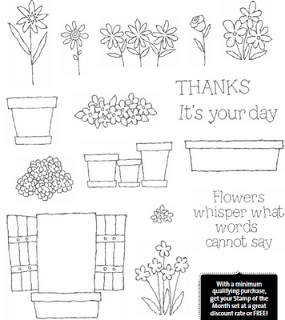 I really don't have an April Fool's joke to pull on you, but I do have some amazing artwork from my friend Sheri to share with you. 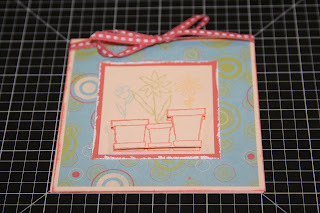 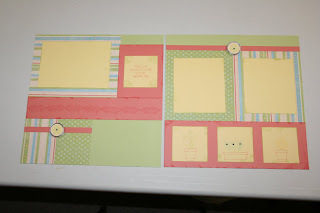 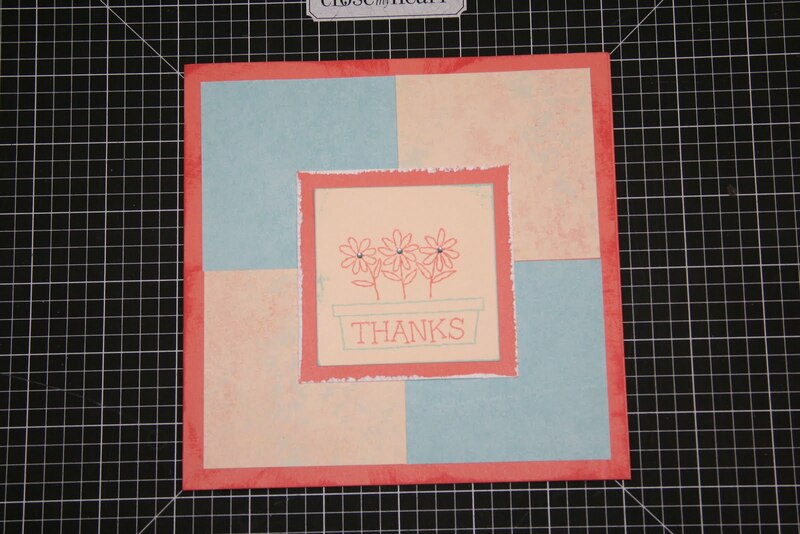 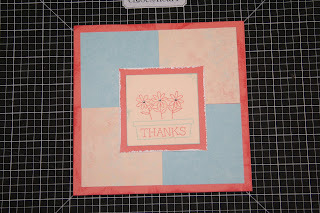 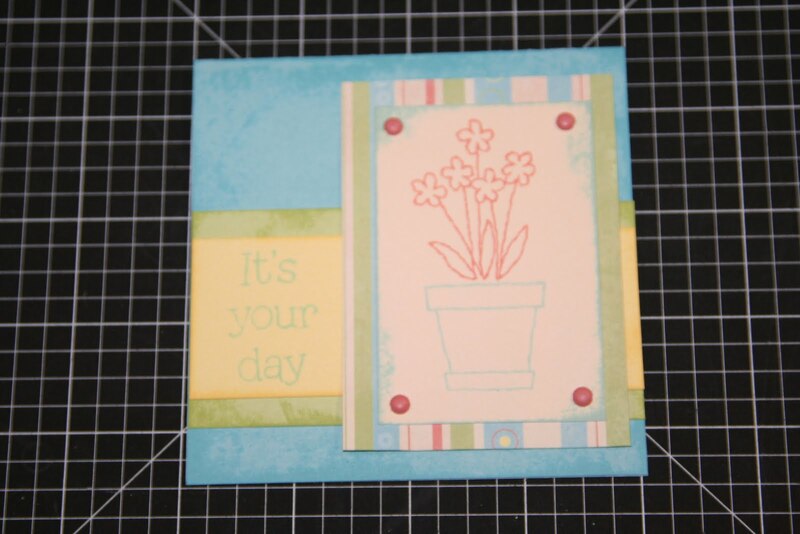 She has used the new April Stamp of the Month on her layouts and all her cards. Just look at how great it looks. 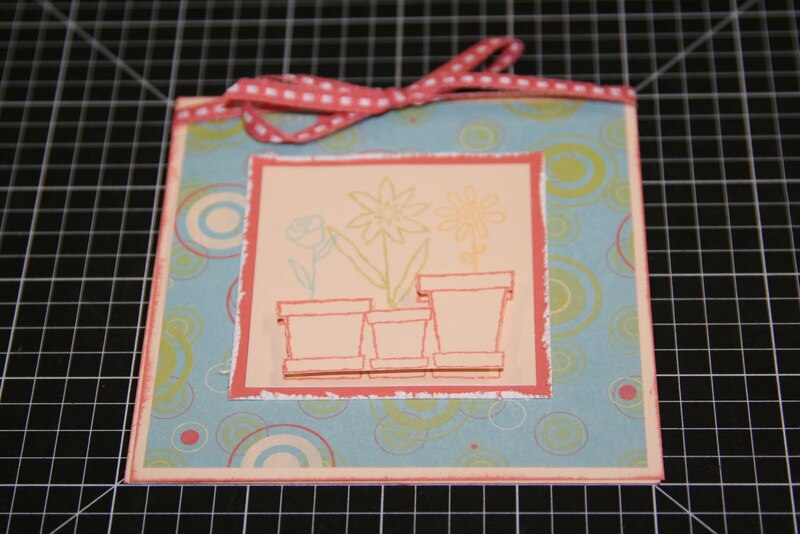 This stamp set comes at a perfect time as we are preparing for Spring! 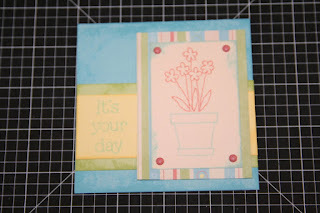 Look at this awesome card-she popped the flower pots up with 3D foam tape-and I love the Sorbet color...makes me think of terracotta pots. 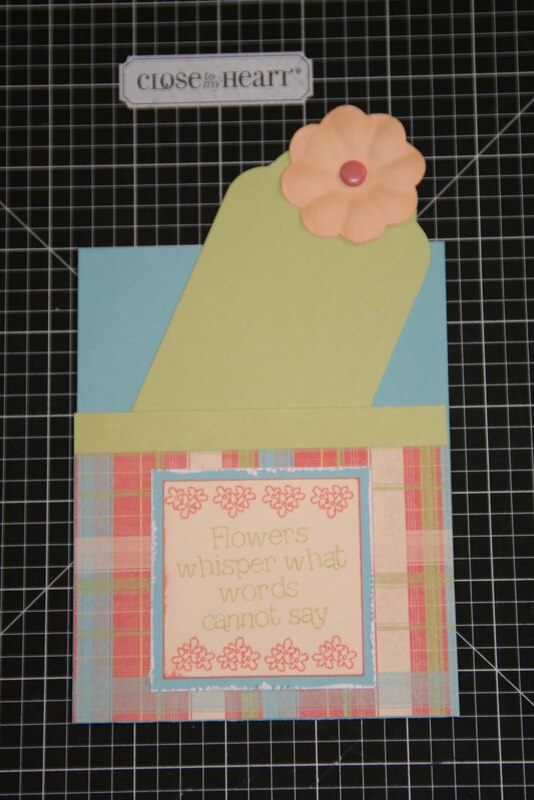 This card has a tag that pulls out.